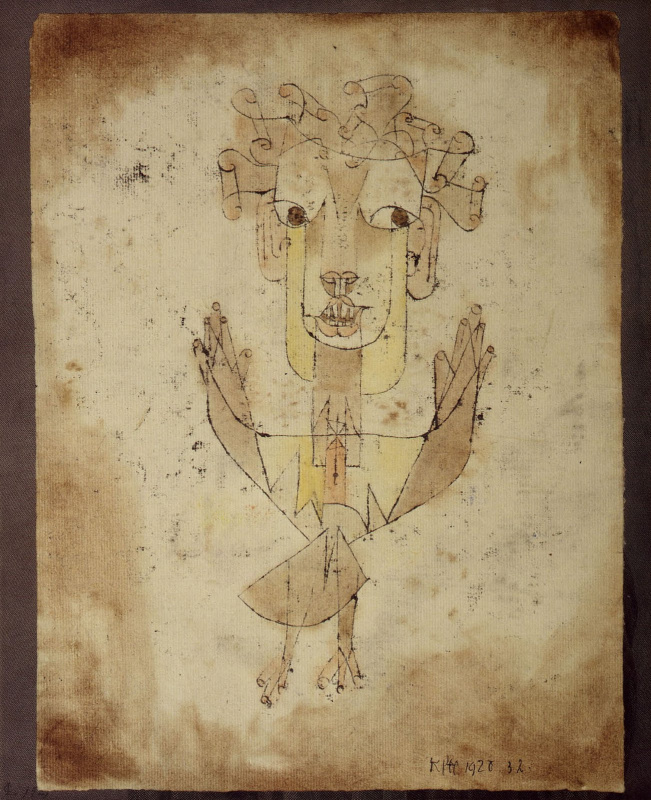 Paul Klee (it. 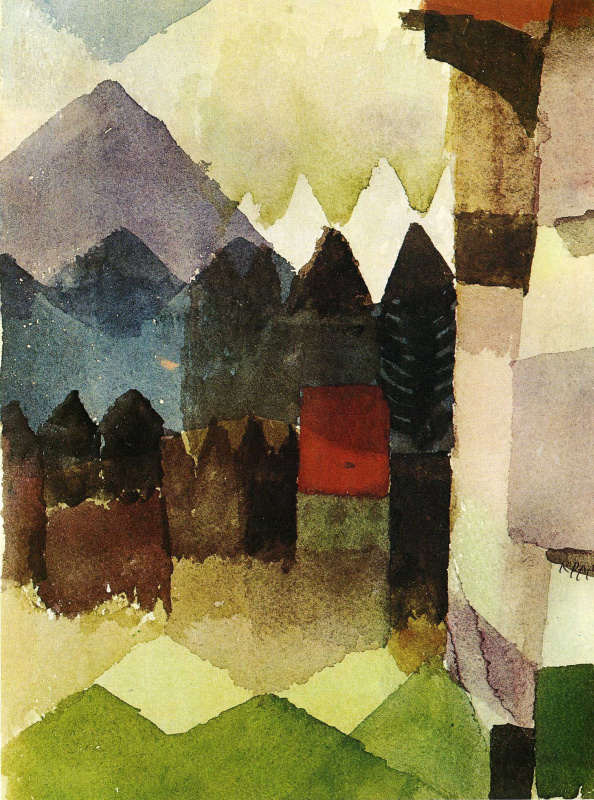 Paul Klee 18 December 1879, Munchenbuchsee, Switzerland — June 29, 1940, Locarno, Switzerland) was a German artist, avantgarde theorist, editor of "The blue rider" almanac, and teacher at the famous Bauhaus. 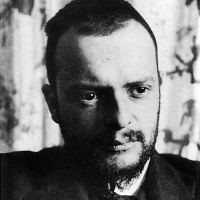 Attributes of His Works: Thanks to his combination of several different and important artistic styles, Paul Klee was a unique artist whose paintings cannot be described in one word. 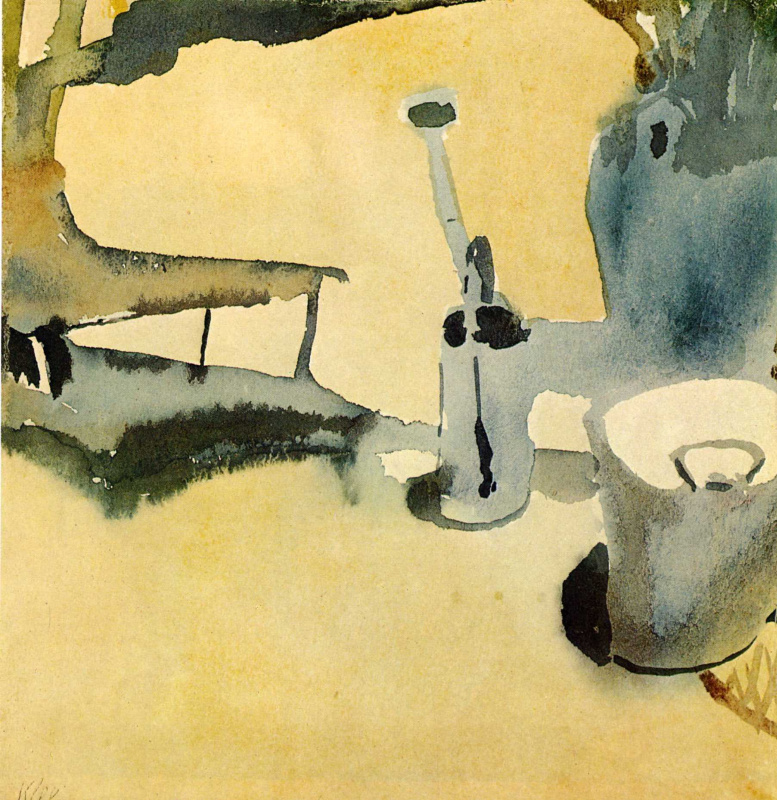 He experimented with various techniques, the invention of his own pointillism (pictures consisting of colorful squares), the dream of nurturing a picture like a houseplant, and the desire to convey the maximum movement with minimum visual means; none of Klee’s paintings were completely abstract. His artistic search is a look at something tangible and determined from within and from all sides: the search for an all-encompassing essence. 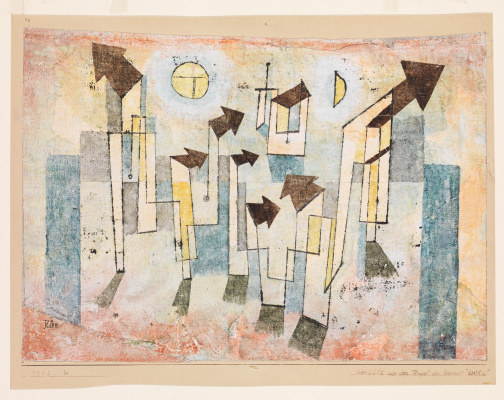 Famous paintings by Paul Klee: "Tweeting machine", "The new angel", "Revolution of the viaduct", "Cat and bird", "Highway lanes", "Death and Fire". 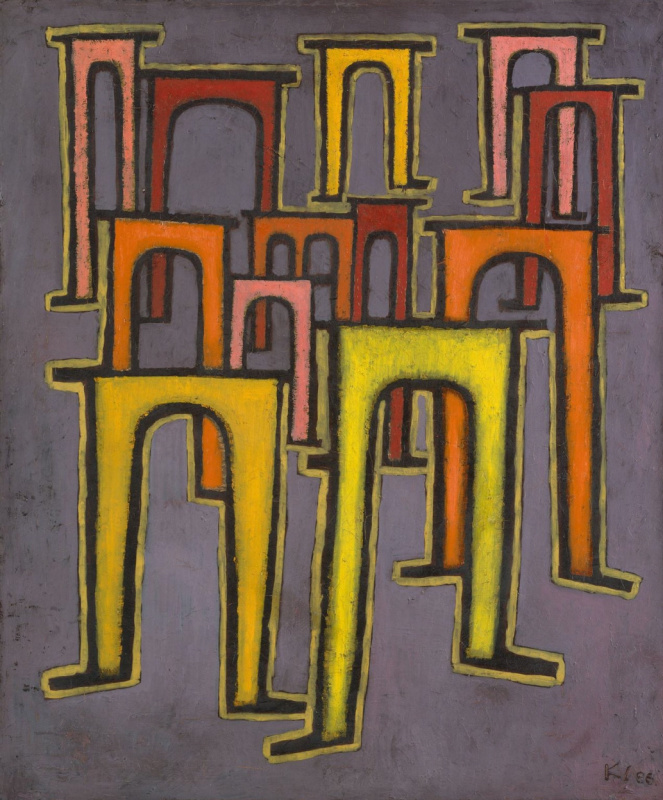 Klee was born into a family of musicians and was inspired and encouraged as a child to become a musician himself, becoming a proficient violinist by the age of 11. Although he never gave up playing music completely, by his teenage years he found the state of modern music stagnate and stuffy and realized he could better fulfill his more revolutionary creative ideas through drawing, although he struggled with colors. In 1898 he started attending the Munich Academy of Fine Arts and, upon receiving his degree, he traveled with friends to Italy, where he found great inspiration in the Roman Forum and the Vatican. In 1906 he married, and in 1911 he joined the editorial board of Der Blaue Reiter and took part in its second exhibition in 1912. 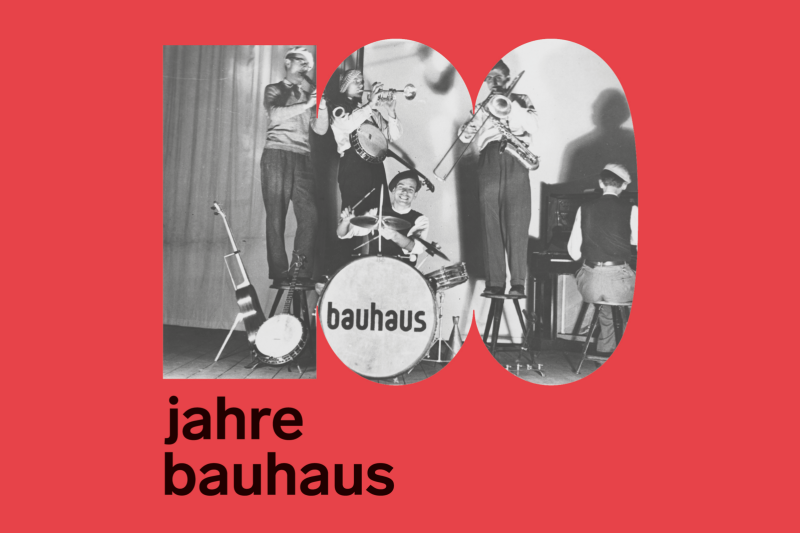 From 1921 to 1931 he taught at the Bauhaus. 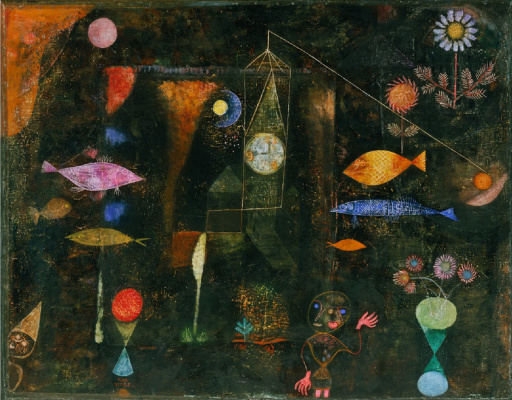 Tweeting Machine (1922, Museum of Modern Art) is the perfect illustration of Klee’s philosophy of painting: childlike and whimsical, but carried out with an adult sensibility and skill. He captures the music of birds and imagines them as a kind of musical instrument with a lever you can turn to get them to chirp, each bird with its own specific sound. Perhaps they are mechanical birds, like in a cuckoo clock, or maybe they are sort of an avian Katzenklavier, caged birds forced to sing on demand for a sadistic human. Like much modern art of its era, Tweetering Machine was declared degenerate by the Nazis and sold by the party in 1939 for 120$, eventually ending up in New York at the Museum of Modern Art. Klee invented the oil-transfer process, in which you trace a drawing on a sheet covered with printer’s ink using a needle so that the line transfers onto a blank sheet of paper. This process gave The New Angel (1920, Israel Museum, Jerusalem) a pre-aged and antiquated look when it was brand new. The angel itself has inspired philosophers and scholars and become a metaphor for history, looking back, aghast at the horrors that had just occurred (World War I) and oblivious to the forces swirling quickly out of control, which would soon lead to the rise of National Socialism. Revolution of the Viaduct (1937, Kunsthalle Hamburg) have escaped and are running through the streets demanding equality and rebelling against the Fascism that is taking over Europe. 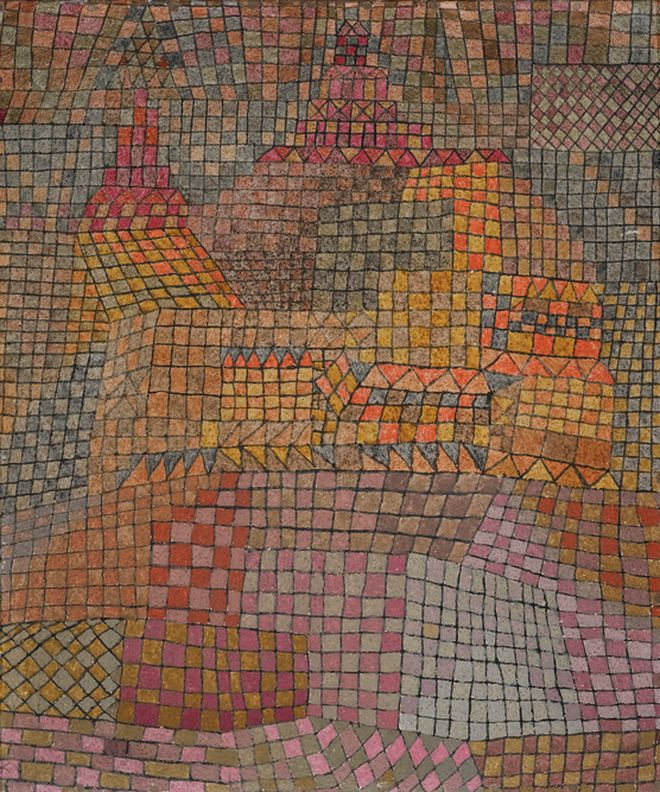 Painted at a time when artists were being pressured by the Nazis and Klee was forced to flee back to Switzerland, it is seen as a homage to individualism and creativity under an authoritarian regime. Does the bird shown in Cat and Bird (1928, Museum of Modern Art, New York) exist? Or is it a representation of the imagination of a hungry cat? The heart-shaped nose of the feline indicates desire, and her eyes are keen, as if something has caught her attention. Klee had three cats, so he was very familiar with their moods, and Cat and Bird was painted with his characteristic childlike creativity. Influenced by the North African landscapes he saw on his trip to Egypt in 1928, Klee painted Highway and Lanes (1929, Museum Ludwig, Cologne). Broad, colorful trapezoids—like a patchwork of plots of land used for agriculture—provide a depth to the painting, leading the observer’s gaze all the way to the blue lines across the top (usually taken to represent the Nile River). 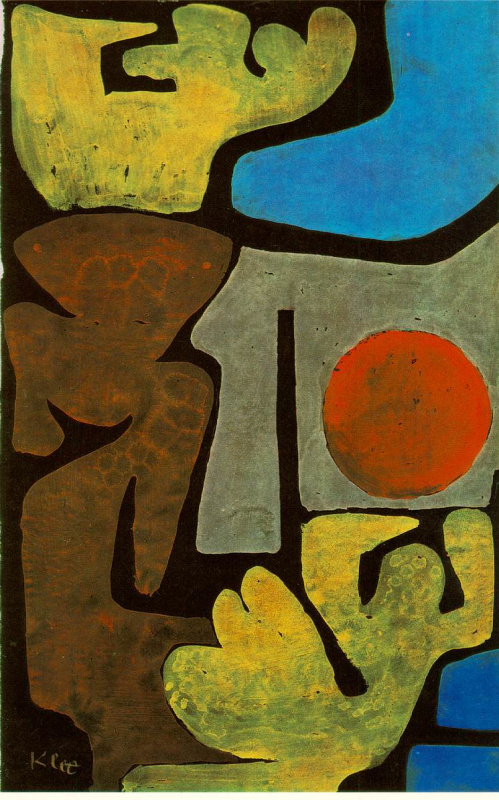 Fittingly, Death and Fire (1940, Zentrum Paul Klee, Bern, Switzerland) was painted in Kree’s final year as he was suffering immensely and dying from a disease that hadn’t even been named yet (scleroderma). The artwork produced at the end of his life was simpler, because he was too overwhelmed by fatigue and joint pain to paint in his usual intricate way. 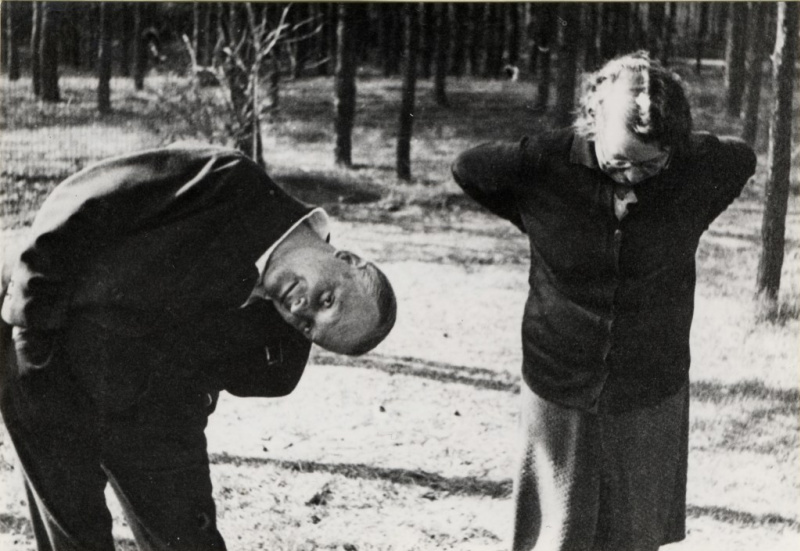 The German word for death, "Tod," can be found both in the face of the main figure, with the t on its side and the d turned upside down, as well as spelled out by its arm (T), the circle it is holding (O), and its lopsided face (D). The fire can be seen as the yellows and reds of the background, likely representing the pain he was going through. 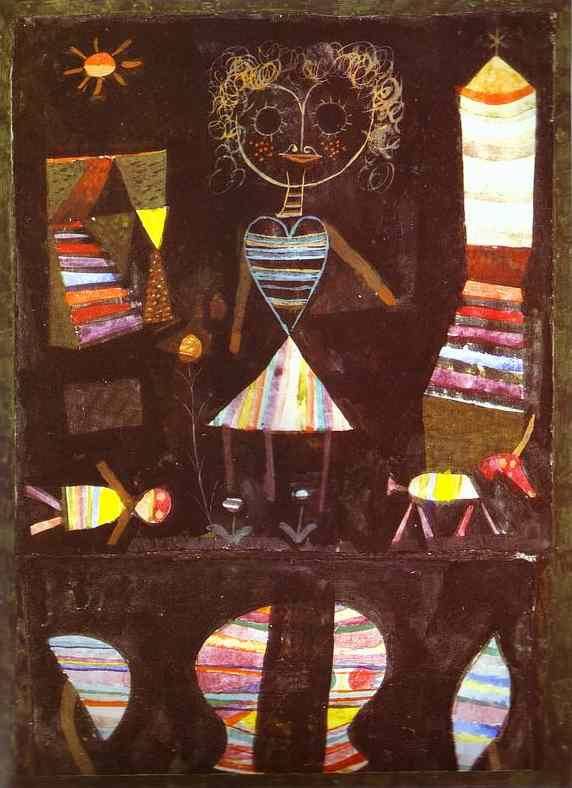 Klee died June 29, 1940 in Muralto, Locarno, Switzerland. He was buried in Bern, his gravestone reading "I cannot be grasped in the here and now, for my dwelling place is as much among the dead, as the yet unborn, slightly closer to the heart of creation than usual, but still not close enough." Anna, thanks for the text! Share sources, please. Анна, спасибо за текст! Поделитесь источниками, пожалуйста.